Luxury 3 and 4 bedroom townhouses at Heavenly Valley with direct ski lift access via Stagecoach Express. These beautifully appointed mountain view townhouses are nestled in the pines of Lake Tahoe on the slopes of the Heavenly Ski Resort. 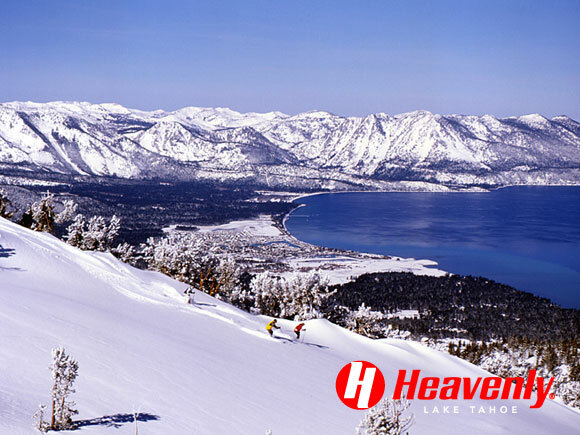 Located next to Stagecoach Express , Heavenly's high speed 4 person ski lift; the townhouses offer the best ski-in/ski-out access at Heavenly. After a day on the mountain, the nightlife, fine dining, and entertainment at South Shore are just a short drive away. Upper level master bedroom suite includes a private bath. Shared community association pool and spa nearby. We all had a great time up at the condo. I am sure we will do this again sometime. Thanks for everything it all worked out well including the proximity to the chair lift. We couldn�t have been any closer. Just wanted to let you know that we had a great time and look forward to our next stay. Thanks again. It was a very pleasant and comfortable place to stay. Nice view of the mountain, and peaceful and quiet. We had a wonderful time and enjoyed the very convenient access to the ski lift. We'd love to stay there again sometime. Truly Heavenly! Thanks again. We really enjoyed the place ! We will recommend your condo highly to others. Its very convenient and a good value. I enjoyed my stay. Thank you for renting to me. We really enjoyed your condo!! Great location!! The condo was great especially since it was so close to the chair lift. Everything went well and I will definitely keep your contact info for next time. I would like to tell you what a wonderful time we had in Lake Tahoe. The townhouse was in the perfect location and it was really very cozy and beautiful My entire family looks forward to staying there again in the coming years. We enjoyed our time at the heavenly condo. The condo was spacious, clean and convenient to the lifts. Thank you for making the reservations easy and convenient. We had a great time staying in the Condo. My friends simply loved the condo and it's location could not have been better, so we probably will be back. We had a great weekend at the condo. Thanks ! Just wanted to send you a quick note that we have had a great time staying at your lovely place and wonderful time skiing last week. Everyone in our group was happy with the amenities your place has provided; the big screen TV provided much entertainment for the group as we were able to watch a few movies there. The close proximity to the Stagecoach Express Lift saved us plenty of time to ski and not worry about dropping and picking up our members. We're definitely looking forward to return next year. Thank you so much for the chance to ski at your incredible condo at Heavenly. I have not skiied there in 30 years and it was the best trip I have ever had to Tahoe, thanks to the location and accommodations. We will be calling you again. Thanks! We had a great time. Your condo is fantastic and much larger than we thought. As many times as we've skied down the slopes in front of it, we never thought we'd be so close. It is a great condo and a wonderful part of the world. We plan on coming back! Special weekly rates are also available. For full rate information click here. Reserve your ski vacation today. Call (925) 681-1000 or click on the "Request Reservation" button below. If the dates you're looking for are already reserved on this home, be sure to check out our beach house in Zephyr Cove at TahoeBeachCabin.com. elevators. Access and use requires climbing stairs.